I wanted to cover all of the languages relevant to this post. Thanks google translator! 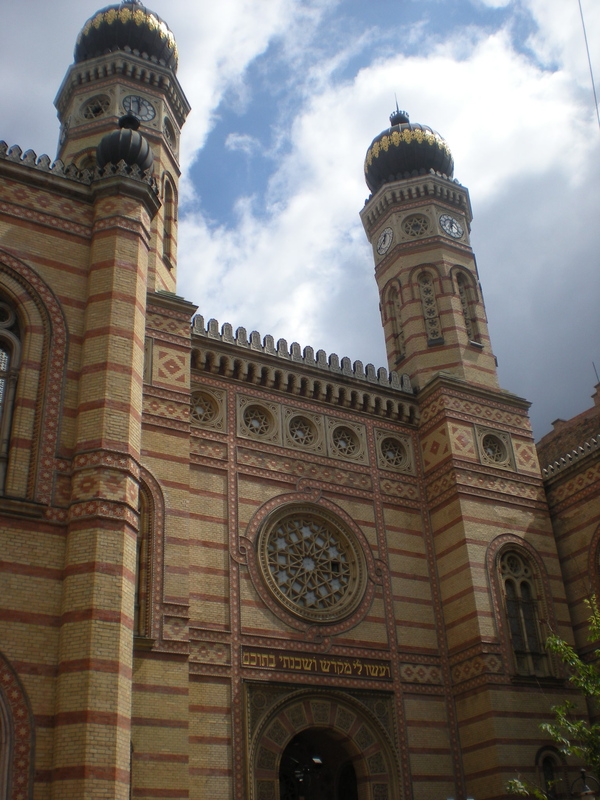 Last Saturday we went to the Great Synagogue (Dohány Street Synagogue). I said earlier that I was a little ashamed that I haven’t been yet, especially because it’s one of the most significant sites in the city. But then again, once you make a country your home, it seems like you stop traveling it. It’s sad but sort of true. I lived in the US my whole life, until now, but I can count on both hands (and a few extra fingers maybe) the places I’ve visited, tourist-wise. De mindegy (but, all the same…). 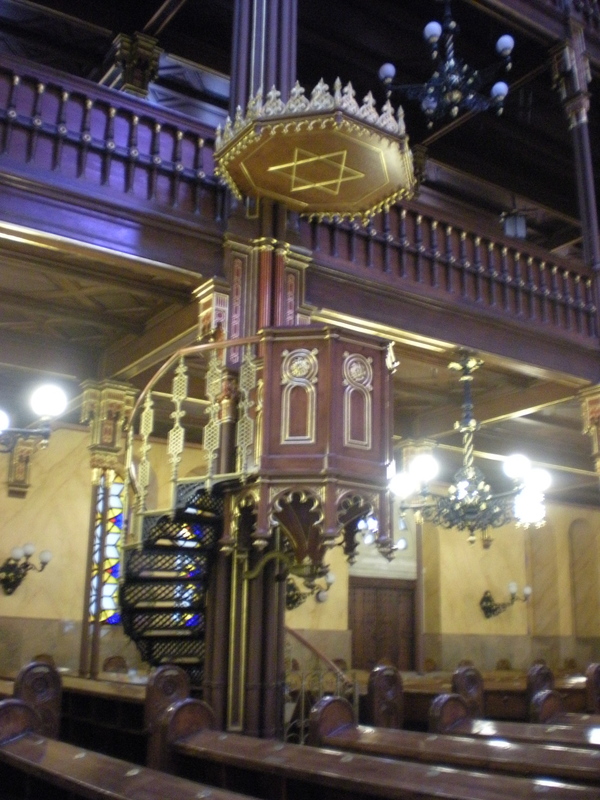 The Dohány street Synagogue is really a beautiful site, and if you come to the city and want a list of things you should definitely see, especially considering the historical significance, you should see the synagogue and its adjacent museum. 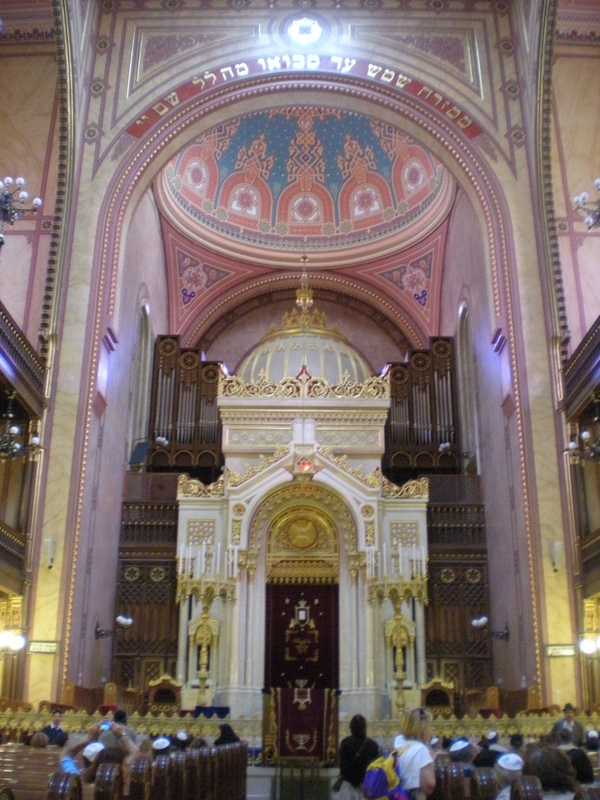 The synagogue is the largest synagogue in Europe and the second largest in the world. The interior seats 3,000 people (about 1500 for men on the ground floor, and 1500 for the women in the rafters—okay, gallery). It was built in the Moorish revival style (hence the onion-shaped domes) and was quite unique at the time, though the current building isn’t exactly the original. 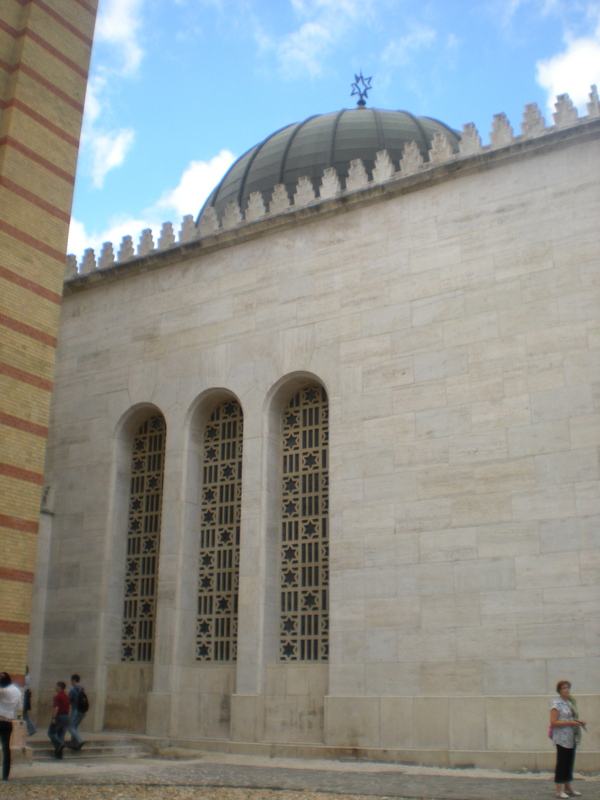 Actually because of the Moorish style, a lot of people think that it’s a mosque at first. The original was bombed by the Arrow Cross Party in 1939 (pro-Nazi’s) and during WWII it was used for German communications and stables. Keep in mind, Hungary was on the side of the Axis. Ooops. 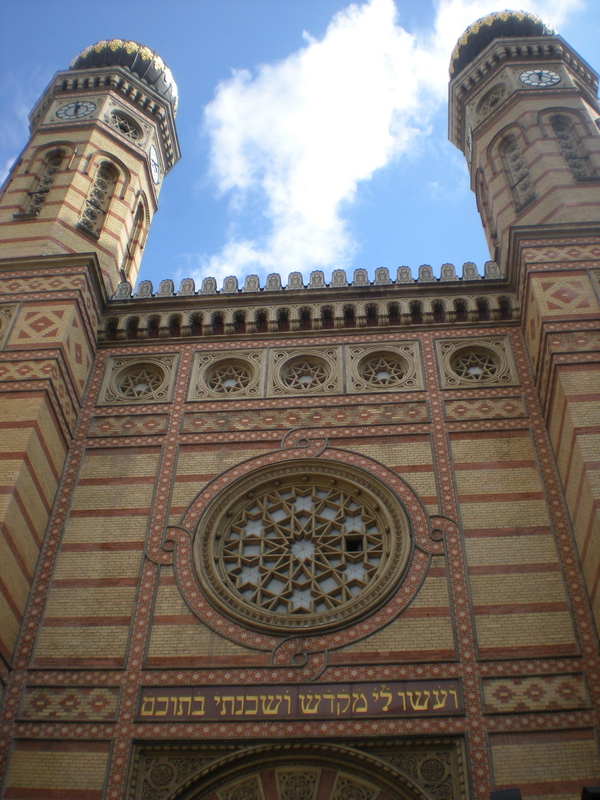 During the Siege of Budapest and subsequent air raids, the synagogue was nearly decimated. A full restoration did not take place until 1991, which is what we see today. 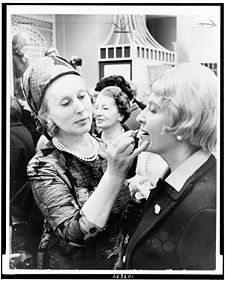 And, fun fact, the American Estée Lauder (Josephine Esther Mentzer) who’s mother was a Hungarian-Jewish immigrant to the states, funded much of the restoration ($5 million). I didn’t really feel comfortable taking pictures of the cemetery for some reason, unlike in Prague when I was straining my arms into all sorts of uncomfortable positions to get around the iron bars since the cemetery was closed for Shabbat. But the graveyard here is the same as it was during WWII. Around 2,000 people who died in the Jewish Ghetto during WWII are buried there. 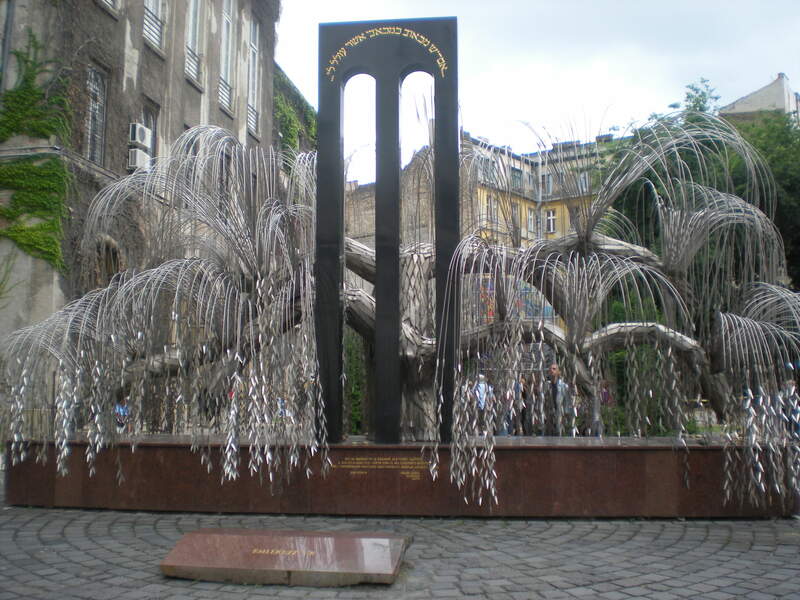 In the courtyard is Raul Wallenberg Holocaust Memorial Park where there is the stunning memorial by Imre Varga for the 400,000 Hungarian Jews murdered by the Nazis. It is a weeping willow tree and on each name there are inscriptions of names of the victims. The experience was quite heartening and I’m glad we were finally able to go. When we were there, at opening (10am), it was already pretty crowded, so go early. They have tour guides who speak just about every language imaginable and the museum highlights many artifacts from the traditions of the region and provides much documentation (photos, newspapers, and placards in English) of the plight of the Hungarian Jews during WWII. 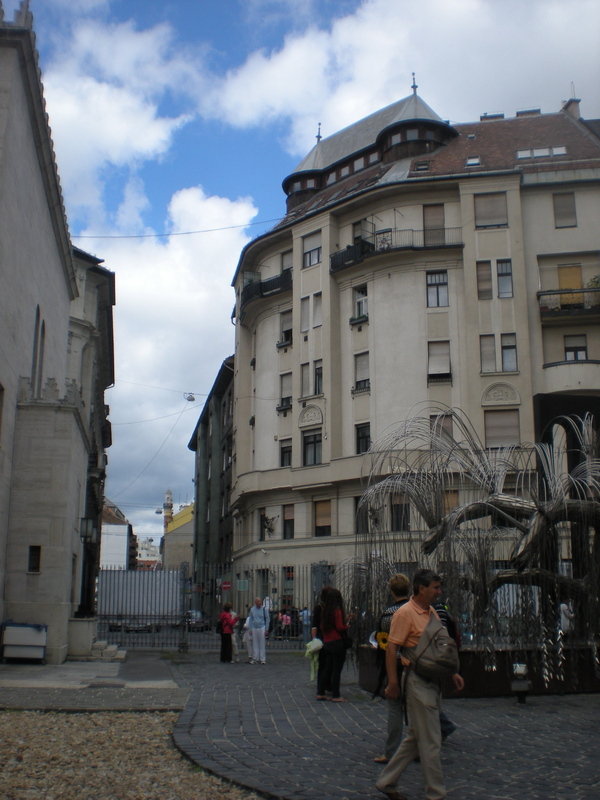 Dohány utca 2-8., district VII.